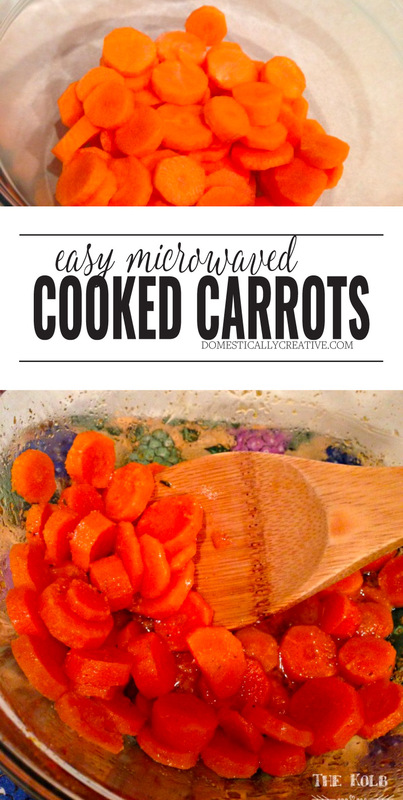 Quick, easy cooked carrots in the microwave. 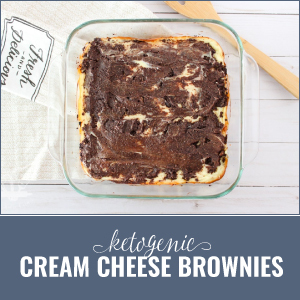 Perfect for a last minute side dish you can make in less than 10 minutes. 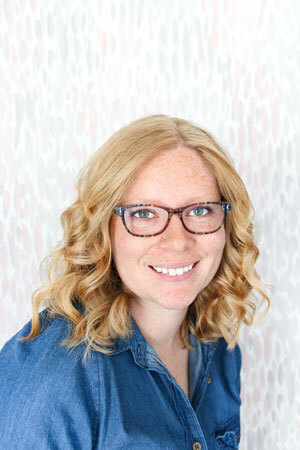 Boy do I have a super quick and easy recipe for you! 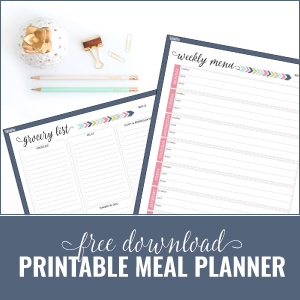 My life has been in chaos for the last 2 weeks straight, so I haven’t had time to really plan out meals, and we were also trying to clean out our fridge and pantry before moving. These easy microwave carrots are the perfect quick side dish you can throw together in a pinch. 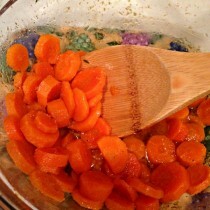 If you are like me, you ALWAYS have carrots on hand, and the other ingredients are just household staples. Sorry for the terrible photos, it was late at night in our rental house, so the lighting was not great. 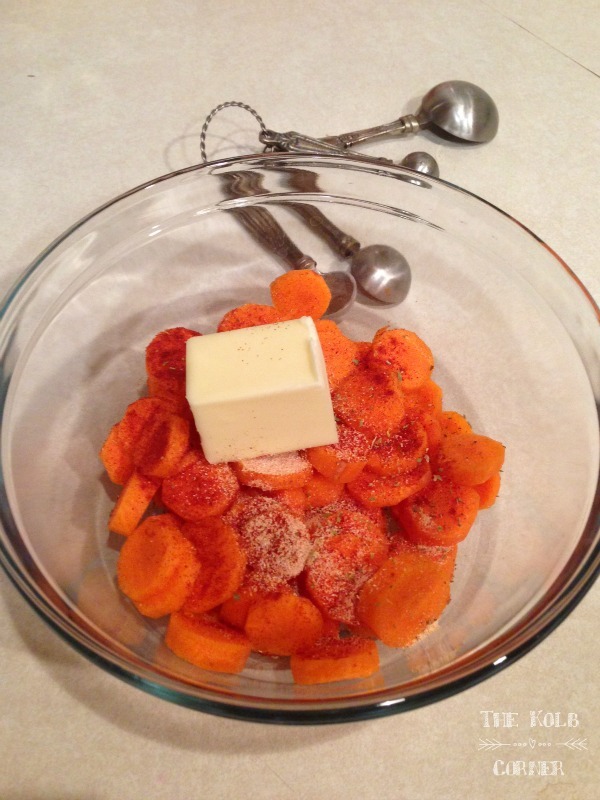 All you need are some carrots (baby carrots or whole carrots sliced into rounds) butter, seasonings and a little bit of brown sugar. If you decide to go with baby carrots they will take a little bit longer to cook in the microwave, but still turn out just a delicious! 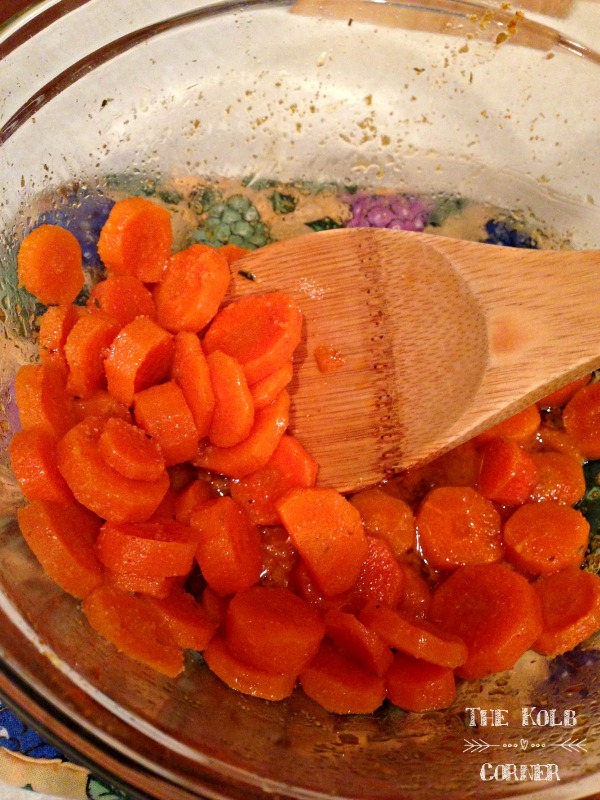 These easy cooked carrots are so super yummy! The butter cooks them while the brown sugar gives them a little caramelization. The garlic is just a nice added bonus! You can serve these with just about anything, but we ate them with a meatloaf I made when I did a bunch of freezer cooking. 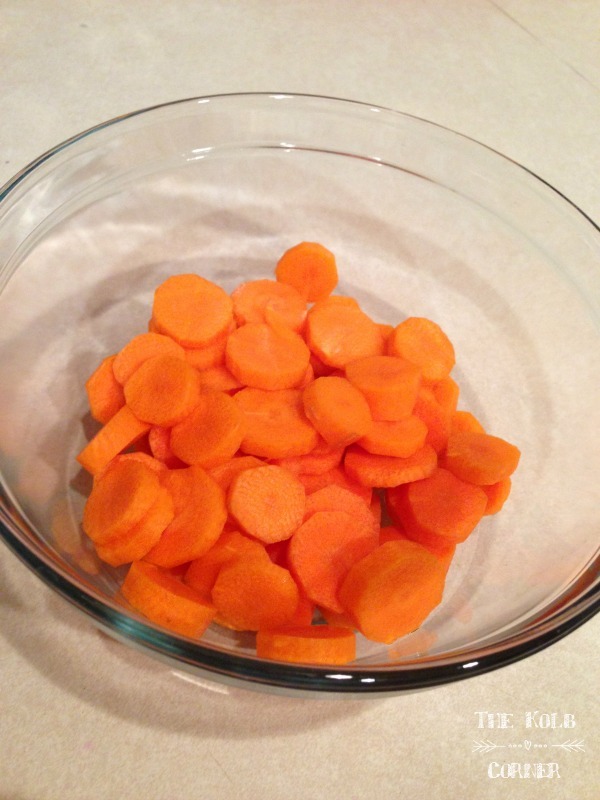 Wash, peel and chop your carrots into rounds. Place in a microwave safe bowl with brown sugar, garlic and salt and pepper. Microwave on high, uncovered, for 4-5 minutes, or until tender. You will want to stop half way through cook time to stir up melted butter and brown sugar. Cook in additional 1 minute intervals until desired softness.